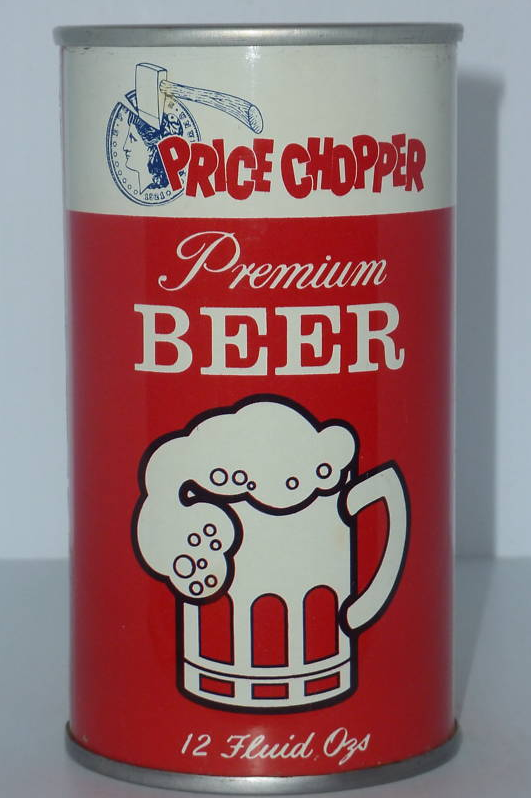 I first saw a Price Chopper Supermarket when I entered 6th grade and my family moved to Albany New York in 1976. I was freaked out by the logo in a way that has stuck with me. The logo at that time was an axe chopping a liberty dollar in half, which you will see here on a beer can I just found for sale on Ebay. Apparently I wasn’t the only one disturbed by it, as women’s groups later accused Price Chopper of promoting violence against women due to the axe embedded in lady Liberty’s scull! I always wanted to have something with the original logo on it. For years the store next to the Renssalear train station had a vintage sign with the old one, but they appeared to have completely killed it in favor of the totally generic logo they have today. Here’s to that haunting logo in the naive days of yore! This entry was posted in Kipple and tagged Product Design. Bookmark the permalink.